The Electoral reform promoted by the Jonathan Administration has deepened democracy in Nigeria and opened the way for Nigerians in Diaspora to participate in the politics of the country, the Special Adviser to the President on Political Matters, Alhaji Ahmed Gulak has stated. Addressing the Annual Conference of the Nigerians in Diaspora (NIDO) of all America, in New Jersey, Gulak reiterated that the transparency and the fairness of the electoral process was one of the major achievements of President Goodluck Jonathan in two years. According to him, the opening of the political space for more Nigerians anywhere in the world to participate was responsible for the political vibrancy without any crackdown on political opponents or restriction of freedom to hold political opinions. He stressed that for investments to flourish and the economy to grow, the political environment must be conducive and that the current huge inflow of foreign investors to Nigeria was a direct acknowledgement of the peaceful political environment, created by the Jonathan administration. 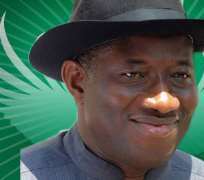 The presidential aide noted while President Jonathan has not indicated his interest to contest the 2015 election, he was not constitutionally disallowed to contest, saying that the President has been focused on delivering on the mandate of the people by implementing the transformation agenda. "We are all Nigerians and it was the Almighty God that decided where we were born so there is no need to discriminate against anyone on account of ethnicity, religion or language" he said. Gulak who is also the National Coordinator of the Goodluck Support Group (GSG), explained that the achievements of the Jonathan administration in the last two years has been highlighted in publications by the group adding that it was necessary for the Nigerians in Diaspora to be informed so that they can appreciate the progress being made by the Government. "Within two years, the Present administration has made considerable impact in various spheres of the economy, education, transportation Infrastructure, such as the rail and air transport, health, trade, sports, agriculture and the rest. All we need is peaceful environment to do more for our country" he added.